The Avalon Waterways story took shape 12 years ago, when the Avalon Artistry debuted, followed by the Avalon Poetry in 2005. This spring, Avalon debuted two more Suite Ships in Europe, the Avalon Passion and Avalon Imagery II, bringing the number of Suite Ships to 14. These vessels are equipped with what Avalon refers to as Panorama Suites, which measure 200 square feet and feature incredibly comfortable beds that face outward. “In the average cruise cabin, the view from the bed never changes. Travelers are looking at the same scene throughout their voyage: the wall,” says Clark. “We turned our beds so they face giant, floor-to-ceiling windows.” When opened, the seven-foot-wide windows create open-air balconies. The company also unveiled “Avalon Choice” in 2011, providing guests with a greater number of complimentary dining venues and menu choices, shore excursions and onboard activities. “By providing more choices, guests can personalize their vacations,” notes Clark. Building on the momentum of Avalon Choice, in 2017 the company will unveil still more culinary and itinerary options. On the culinary front, Avalon has partnered with Vienna-based chefs Karl and Leo Wrenkh, who are known for their creative interpretations of vegetarian and vegan dishes, to launch “Avalon Fresh,” an initiative that will add more healthy food options to the ships’ menus. “There will be more vegetarian and healthy food choices on our menus in response to consumers’ changing tastes with the perspective that healthy food doesn’t have to be a compromise,” says Clark. New “Avalon Active Discovery” cruises on the Danube will feature more time in ports, more daylight sailing hours and such active excursions as cycling, hiking and canoeing. The itineraries will also include a range of other experiential options such as ballroom dancing classes, cooking lessons and walking excursions with a language component. This year, Avalon has further expanded its exotic line of itineraries with Nile, Mekong and Amazon River cruises, as well as sailings that explore the Galapagos Islands. 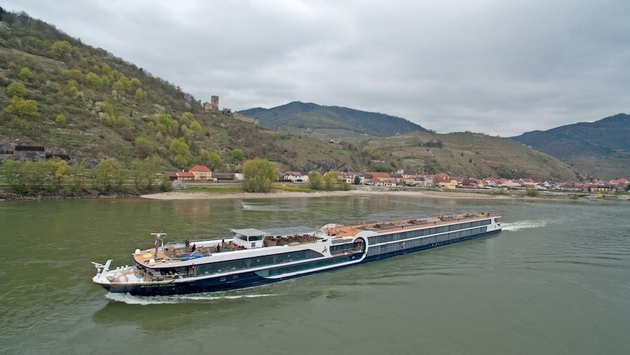 In Europe, where Avalon ships ply the Danube, Rhine, Main, Moselle, Saône, Rhône and Seine rivers, the company added seven-night “Enchanting Belgium” and “Essential Holland and Belgium” itineraries. Going forward, it’s safe to assume that Avalon will continue to enhance and expand its product line. “What will continue to drive Avalon in the future will be the ongoing desire to enhance the cruise experience for our guests, both on board and ashore,” says Clark. Avalon Waterways continues to equip travel agents with sales and marketing tools designed to help them more seamlessly sell its river cruises. In tandem with the debut of its new TV campaign, Avalon launched a trade initiative that arms agents with a consumer marketing kit, which can be accessed at AvalonViewTV. 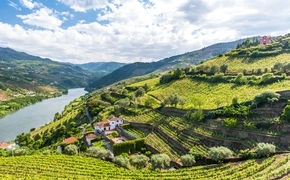 The company also relaunched its Avalon Waterways Specialist program in June with seven modules that include such topics as exotic river cruises, groups and identifying and converting customers to river cruises. A version of this article appears in print in the October 2016 issue of Vacation Agent Magazine.